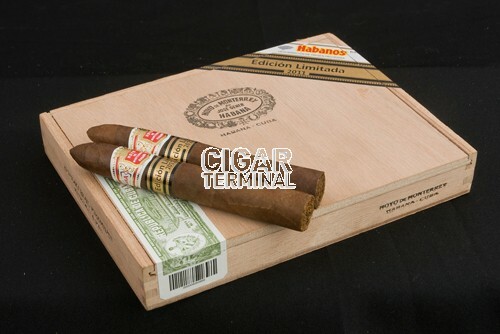 The Hoyo de Monterrey Short Hoyo Piramides EL 2011 is a light-medium Figurado, 5.3” (135mm) long, of 46 ring gauge, and comes in a 10 cigars box. This new vitola packs all the typical Hoyo de Monterrey complex flavors, which have a soft aroma. 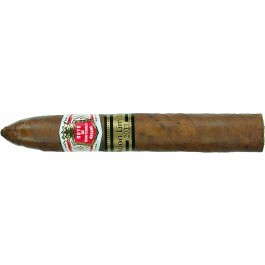 This Edición Limitada seems to be made purposely for Hoyo de Monterrey fans and lighter flavors cigars aficionados. 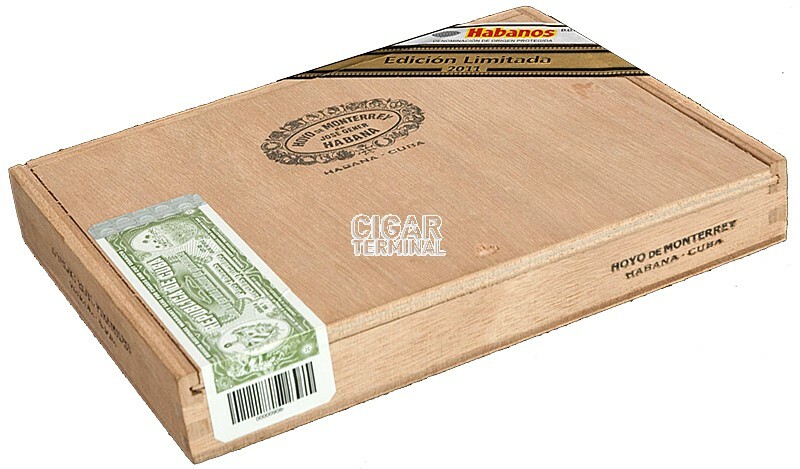 It is a very smooth cigar, ideal for newcomers who want to discover what a Habano is about. 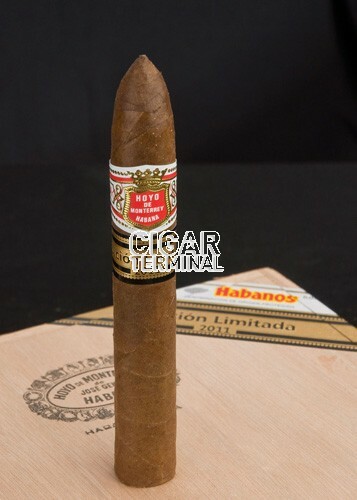 Like every year, Hoyo de Monterrey releases new Ediciones Limitadas or Limited Editions is anxiously awaited by aficionados from all over the world, and this Habano is no different. The Piramides Edicion Limitadas 2011 is amazing. • Aromas of wood, spices, toast and grilled meat. • Never too harsh, neither too mild. You can smoke it any time of the day. Do not hesitate to give this Piramides Limited Edicion 2011 a chance. A great smoke. The pre-light aroma is of buttery popcorn, which is followed by a peppery under tone with oak and toast, a very seductive and enjoyable smell to say the least. 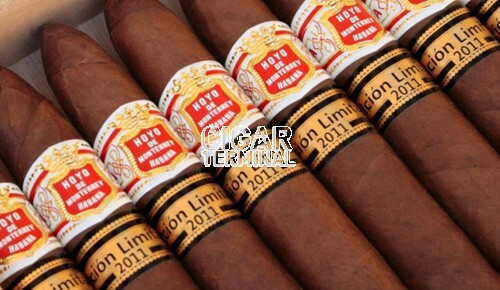 The cold draw of the Hoyo is fairly easy with the typical bit of firmness associated with the Pirámides vitola. The Short Hoyo Pirámides puts out an abundance of smoke when you draw on it, it puts out little to no smoke when it’s resting, though it stays burning the whole time. Very nice. The early notes of the cigar has the flavor of a salty pretzel, though the saltiness fades away quickly to leave a very pleasant toasty note. The draw is just the slightest bit labored, though again this isn’t a surprise given the shape. Before the end of the first third, the toasty note turns to a drier, woodier note that turns the body of the Hoyo de Monterrey from soft and fluffy to drier and robust. Varying degrees of spice come out in the first third but never harsh or aggressive. Into the second third come some pepper but soon fades and the toasty essence from the first third returns with some light cedar. The last third tastes of grilled pork and the pepper increases providing some complex flavors to a great finish. In summary, this flavor profile is most agreeable: medium-plus, smokeable any time of the day, not too strong, not too mild, some nice flavor changes, and a solid bit of pepper, pretty much everything you could ask for in a cigar.